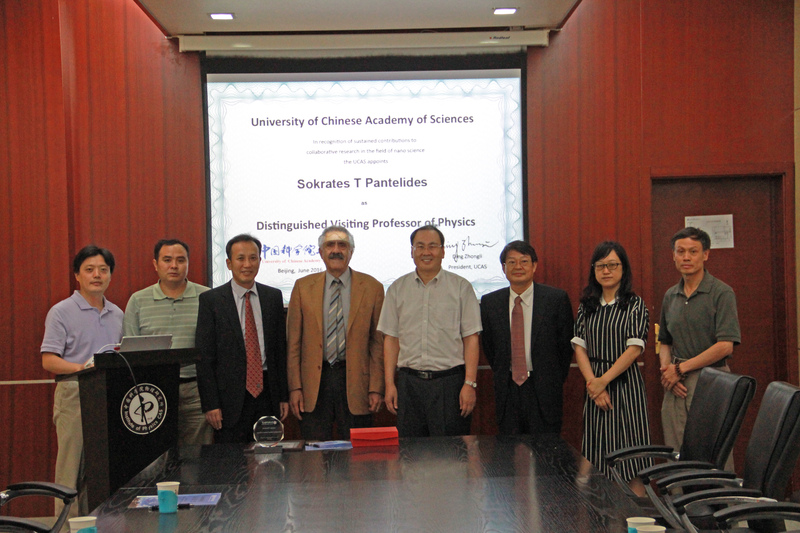 From the ceremony at which Professor Pantelides was installed as Distinguished Visiting Professor of Physics at the University of the Chinese Academy of Sciences in Beijing, China in June, 2016. 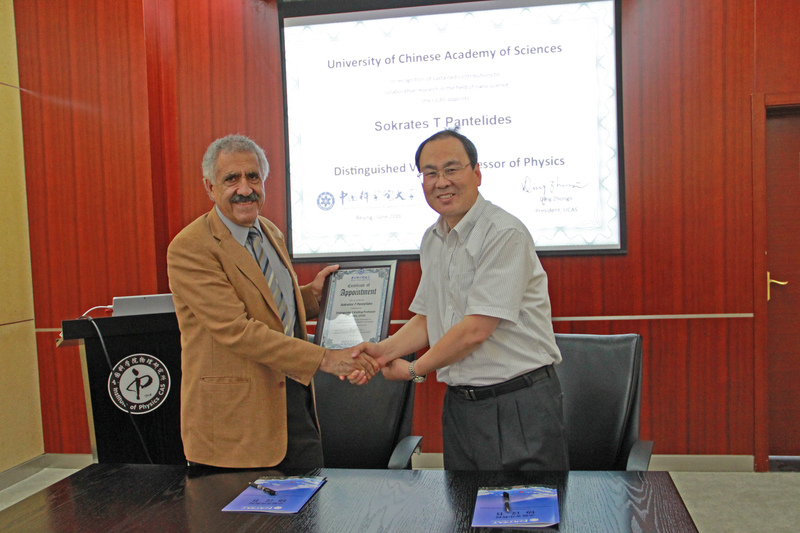 Professor Pantelides, The University Vice President and senior collaborators in Beijing. The University Vice President presenting the certificate of appointment. Chancellor’s Research Award, Vanderbilt University, 2003.